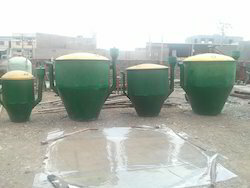 We are manufacturing Musab Food Waste Biogas Plant Food Waste Biogas Plant Type Biogas plant for Food Waste market wate. This Biogas plant has a very high efficiency the biogas generation is 20% more as compared to the conventional Biogas plants. Ours is a reputed firm engaged in offering a wide range of Biogas Plant. This range of the products are developed by a team of expert and experienced professionals using optimum grade raw material. This are widely acclaimed for its easy installation and easy maintenance by our valuable clients. 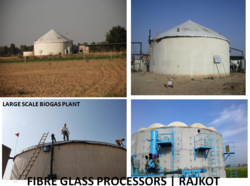 Known as a well-known firm, we are engaged in offering a wide range of Domestic Biogas Plant to meet the needs of our customers. A team of skilled and highly efficient members manufactures these products with the latest equipment and sophisticated technologies. Last but not least, we are offering these products at nominal rates. Our Biogas Plants can cater to multiple feedstocks like - animal manure/food waste/chicken litter etc. The efficiency of the plant is 85% Our Plants are fitted with Water Jacket for no smell & gas leakages. Capitalizing the skills of our professionals, we are offering a quality assured assortment of Portable Domestic Biogas Plant. 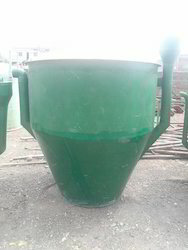 The Bio Gas Plant we offer is made by using quality material. Offered products are available in various sizes and specifications that can be customized as per the requirements of the clients. 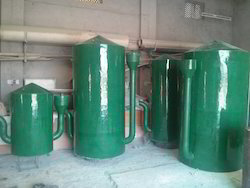 Our Domestic Biogas plants are mde in Fiberglass. and comes with Water Jacket for no smell & no gas leakages. The outer coating is done with UV stabilized resin for a long life & weather resistant.